I talk to a lot of Magic players. Sometimes via social media or Magic Online, sometimes in person at my local game store or at a Grand Prix tournament while doing coverage, and sometimes via email. 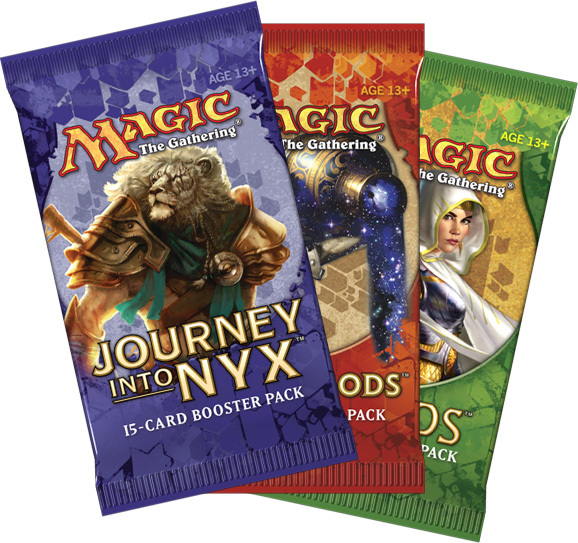 I've chatted with the greenest possible players who were still relishing that first booster pack–opening experience. I've definitely talked a lot with grizzled veterans of the Limited format, staunch and entrenched in their ways. I learned early on that everyone has his or her own view on how Limited works. I'm lucky in that I have a column with which to express how I think it works (or how it should, at least), but I found that I learn the most when I just listen. I listen to how other people approach things. I often disagree, but even when I do, I'll just keep on listening. It's not so much the conclusions that people come to, it's how they get there that I'm interested in. I see the same patterns over and over. Logical fallacies, overemphasis on a small sample size, FPS (Fancy Play Syndrome), listening too much to what others have said. I've heard it all. I use this column as a forum by which to arm you with your own knowledge and technique such that you can come to reasonable conclusions on your own. Sure, I'll share which decks I've been drafting and which cards have moved the needle for me, but my main focus for this column is rooted deeper than that. I want you to get better at Limited Magic because being better at the game tends to make it more enjoyable. It's certainly not the only metric by which to enjoy Magic, but as a Nuts & Bolts Spike, it's number one on my list. Some of us have been drafting so long that it feels like ancient history to think of when we first discovered this truly beautiful pastime. For me, it's been about six years now, but it feels much more recent than that. I remember stumbling through my first drafts quite vividly. I enjoyed the act of drafting more than the game play, which I was terrible at. But mostly, I remember the mistakes I made early on. I see people repeat these same mistakes today, so I decided enough was enough—I am going to write down a list of the Top 5 mistakes new players make when they first start out in Limited. This way, they can't blame me for any of it. I wrote this article all about it, after all. This one got me for quite a while. It was too daunting. I didn't want to start getting my hands dirty until I had at least an idea of what was going on. I knew the rules of how the draft portion went (they are quite simple, really), but I felt intimidated by the process and didn't want to embarrass myself. Boy was that dumb. Once I finally jumped in a queue, (this was on Magic Online—no way was I playing in real life, yet) I realized it wasn't nearly as scary as I thought. I have heard this story many times. People are intimidated by the process and use it as an excuse to not draft. It's understandable; there is a lot going on, and what if you screw it up? The fact that becomes apparent to you pretty quickly is that the decision tree you face is a lot shorter than it may appear at first glance. 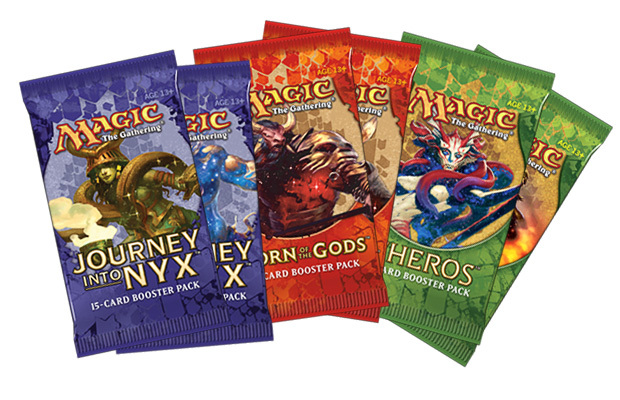 Most people envision fourteen separate, viable options at the start of a booster pack. And then thirteen, all the way down to the easiest decision of all—the last pick. At which point it starts again, a wall of decisions that must be answered in a timely fashion. You can see how someone may find this intimidating, but it's not based in reality. Well, for the first pick it is, but after that it's not. Most people have zeroed in on two colors by the time the first pack is even finished. The effect this has on the following two packs is enormous. With only a couple of colors' worth of cards, even the first pick of the second pack is made much simpler. Instead of fourteen cards to choose from, it's more like three or four. You simply ignore the cards that aren't in your colors and choose the one you want the most from the subset of cards that are in your colors. See? Much easier than it seemed. You thought I was just going to slip that one by you, didn't you? The thought of every new drafter simply sticking to two colors is something I strive for, but fully understand is nigh impossible to accomplish. New players are the greediest. They splash double-mana-symbol cards, get sidetracked by unreasonable rares, and generally don't think about their mana at all. Splashing can be quite powerful, but adding the extra complexity of building a good three-color mana base to an already shaky equation is asking for trouble. If you are still learning draft, just stick to two colors. You'll find that casting spells is a lot more rewarding and fun than not casting them. Creatures are the cornerstone of Limited. They are the most important commodity, they enable the other cards in your deck to perform well, and they are your primary route to victory. Creatures are great. So why not play a bunch of them? That should be Plan A, anyway. But in the throes of a booster draft, it can be easy to forget how many creatures you have. I recommend fifteen to eighteen creatures for most Limited decks. You can get away with a few less or a few more, but sticking in this range is going give you the most play from your deck. It's amazing how many games you can win just by simply casting a reasonable creature on turns two, three, and four. The main thing to avoid is becoming the "Aura and Equipment" person. You know, the person at your local game store who always has a bunch of Equipment strewn about the battlefield, Auras in hand, but nary a creature to be seen. 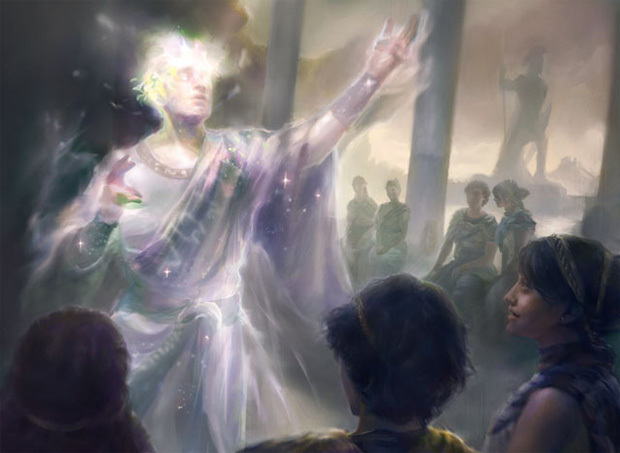 For some reason, newer players feel that they can buck the trend of twenty years of drafting by running fewer lands than the convention dictates. (Convention dictates seventeen lands, by the way.) While I appreciate the experimental attitude that goes along with this, it's better to stick to the norms when first figuring out how to play Limited. Remember, the norms are the norms for a reason. You will often find flaws in the norms and think that you are the one sent from the future to change draft-kind forever. You probably aren't. Let's trust the system we have at least as a solid starting point. Playing forty-one-card decks is another way in which people stretch the conventions a bit. Have a tough decision and can't figure out what to cut from the deck to cut your library down to forty cards? Show some discipline and cut something to get it to forty. While not a mathematical disaster, playing more than forty cards flies in the face of everything logical and good in this world. Play seventeen lands. Don't play forty-one-card decks. Keep it simple to start with, and you'll get a feel for when to veer off that path down the line a bit. Limited is a level playing field. It offers this more so than Constructed, where the friend-group arms race can escalate quickly. With Sealed Deck, you just open up the same number of boosters as everyone else. This makes the playing field inherently even. Somewhat ironically, many people avoid Sealed deck because they were told that it was a heavily luck-based format. I wrote about it before and still feel strongly that Sealed is a legitimate, skill-intensive format. It's also dead simple to get into. Open six booster packs, then build a deck. That's about as easy as it gets from a game-instruction standpoint. Sealed can serve as a stepping-stone to draft, but people get caught up in the luck-versus-skill argument too much. If you aren't playing Sealed, you are missing out. Plain and simple. Limited goes deep. Very deep, in fact. That's why people can play it for so long. You never get to that point where you just feel like you have mastered it and it's time to move onto something else. There is always something to improve on, to work toward, and to discover. If you avoid the five things I have listed here during the early part of your Limited career, you'll have more fun, experience more success, and enjoy the game more as you progress up the ranks.